This set of actions allows you to make awesome presentations of your works. It can be mobile app, website, icons, prints, fonts and etc. Usage of this set of actions is very easy. You can build presentation of your works easily in a few minutes without any difficulties. File format: .atn , .asl for Photoshop or other software. 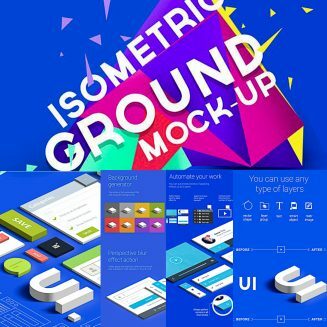 Tags: 3d, action, app presentation, application, device, iPad, iphone, isometric, mock-up, mockup, perspective, photoshop action, presentation, showcase, template.